After writing our blog, "Footballers at War: 1939-45" it seemed clear to us that the general topic was far too broad and too important to be confined to one Football History Boys piece. A recent article online from the RAF Museum Cosford, told of a visit from former Wolverhampton Wanderer Ron Flowers. Although Flowers was not present between 1939-45, he did undertake national service in the Air Force after his 18th Birthday, a feat unimaginable to today's youthful population. A number of Football League players did however join the RAF during the Second World War, each with stories, both heroic and tragic. The Royal Air Force, during the Second World War would provide an essential form of defence for the freedom and values of British life, no more exemplified than the infamous Battle of Britain in 1940. However, as discussed in a previous blog, the role of footballers in securing an Allied victory is often forgotten due to modern day image of greedy and self-obsessed professionals. As we see today, pre-War football players were without doubt still the role models and icons for the nation's youth, be it British or countries abroad. However, the pilots of the Royal Air Force would become the icons during the war, with heroes like Douglas Bader becoming a source of public hope and inspiration. Amongst the footballing stars involved with the RAF was Stan Mortensen (Blackpool winger), Leslie Lack and Bobby Daniel (both of Arsenal). Bobby Daniel's story is one of particular intrigue. At only sixteen-years-old he was a Welsh Schoolboy International, and within five years he was an RAF Flight Sergeant Gunner in a Lancaster Bomber, quite a difference from the original career path he thought he would undertake! However, Bobby's story is ultimately one of tragedy as during a bombing raid over Berlin on Christmas Eve, 1943 his plane was lost and never found again. According to the Commonwealth War Graves Commission he is one 20,000 other lost-in-action RAF servicemen remembered at Runnymede memorial. The Liverpool illustrated history book from 2003 also mentions the role outside-right Berry Niewenhuys played in the war. Liverpool of course was city severely damaged by the Nazi Lufwaffe due to its industrial importing and exprting. Although South-African born, Niewenhuys would also join the RAF, before even attaining a Czechoslovakian Medal of Merit for his bravery on the Eastern Front of Germany. Berry's role in the Air Force was a PT Instructor as well as later captaining the RAF's side. During the War, it was common for football players to guest star for many different clubs (e.g. Arsenal and West Ham) as the main Football League was suspended whilst the Nation awaited the outcome of history's bloodiest conflict. 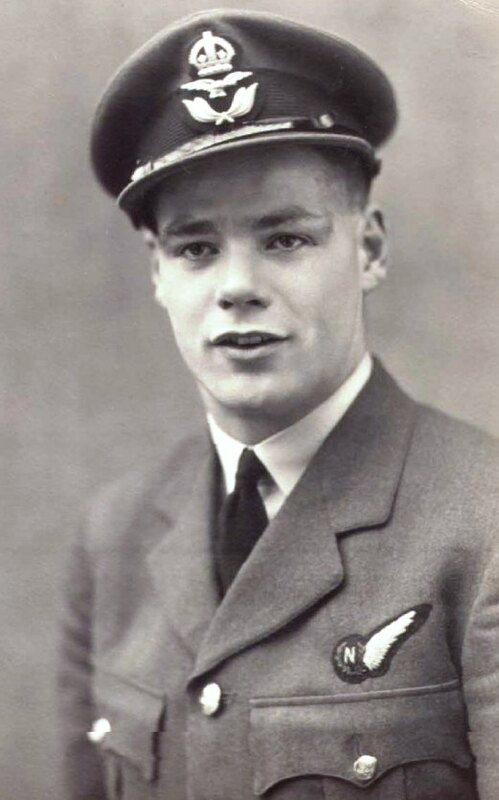 Liverpool legend and Scottish-born Billy Liddell also signed up for the Royal Air Force and like Niewenhuys returned safely from operations in Europe. But what of the air forces both allied and against the British? Perhaps the most famous footballing member of the German Luftwaffe is Bert Trautmann. Trautmann would go on to earn five medals in the Nazi army during the first three years of the War, including the coveted Iron Cross. However, following capture in 1944, Trautmann decided against returning to his war-ravaged German homeland and instead settled in Lancashire before being signed by Manchester City in 1948 following impressive performances for local team St Helens. "I had a good eye, good hands and good positional play. And, having been a paratrooper, I was quite agile." Although initially met with some discord and animosity from post-war football fans due to his German past, eventually Trautmann won over the supporters due to some fine performances. Perhaps his most infamous moment in 545 matches for City was the 1956 FA Cup Final victory over Birmingham City, when he played the final 17 minutes of the match with a broken neck!! “If I had known I had broken vertebrae I would have gone off but, not knowing and with no substitutes allowed, I played on." In keeping with the German Luftwaffe comes the "Death Match" played in 1942 between a Nazi air force XI (named Flakelf) and local Soviet factory workers (named Start). The Soviet team itself was made up of former professional footballers from Dynamo and Lokomotiv Kiev. Before the ninety-munites began the Soviet side was forced to greet the Germans with a Nazi salute, however in act of defiance, they refused. The game was hampered by dirty tactics of the Luftwaffe players, but most challenges were leniently viewed by the Nazi referee. The match was made famous by the Soviet propaganda machine as they promoted reports of the ten players being sent to German concentration camps due to the final score reading 5-3 to the former Kiev footballers. According to a Kiev newspaper six escaped, but four were killed. However, a 1974 investigation was unable to find any connection between the game and later executions. Poster to advertise the "Death Match"
Within RAF communities and Air Force bases, football is still regularly played as a means of leisure for servicemen and women. Recently at Cosford, the RAF took part in a match against touring Australian forces with the British side emerging victorious after a 3-1 scoreline. As well as the continuing practice playing the beautiful game inside RAF bases, in recent years neighbouring professional football clubs like Doncaster Rovers have began to form tight bonds and educate supporters of the great deeds the Royal Air Force have done and still do this day. So it would appear that the football players who joined the RAF at the start of the Second World War were every much heroes off the pitch as they were on it. Within this article only a handful of examples have been looked into some deeper detail. However, there are many more heroic footballing figures that could be talked about in future pieces. Bobby Daniel, Leslie Lack, Berry Niewenhuys and even the German Bert Trautmann should never be forgotten for the roles they played for their respective nations in what was Europe's darkest hour and hopefully can inspire the footballers of today to realise the importance of setting a better example and lasting legacy to the nations youth.